Retail $4.99 SAVE 30% ! Tip: these bottle tips are really good. They permit you to dose the CA very well, supplying the exact amount needed. If you mantain the bottle of CA in a dry dark place, the glue does not get dried even if you do not close the bottle. (You can&apos;t, if you remove the tip, part of the glue spreads out. Fits most brands of CA bottles Dispenses smaller drops for more precise application Flexible for extending into hard-to-reach areas. Well, worth the price. Extremely good at applying glue to hard to get to spots. Excellent on applying glue to small parts in just the right amount. These have become a game changer for my art. 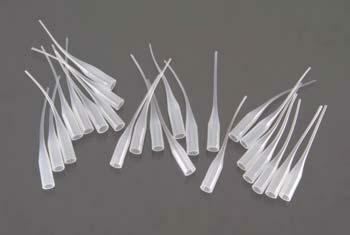 Being able to direct the flow of glue with these has enhanced the precision and cleanliness of application. "great for thin super glue"
I put this on the little tubes of thin super glue so I can apply a tiny drop on my models. I was expecting the glue to dry in the tip and I would have to cut a little off every time I wanted to use it, but it does not. I sore the glue tubs upright and the glue draws back into the tube, so no drying.